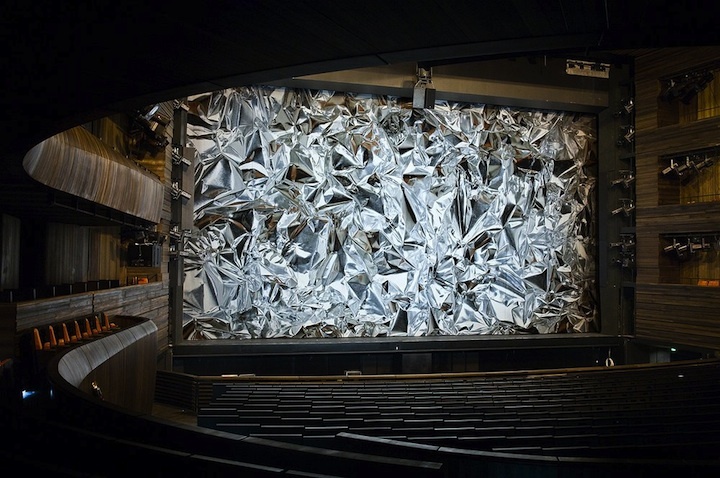 Scanning images of crumpled aluminum foil, artist Pae White made this awesome (woven) stage curtain for the Oslo Opera House. 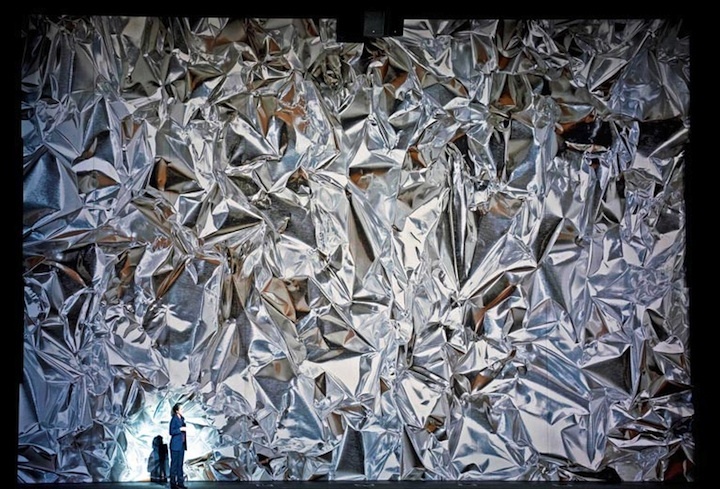 “Metafoil takes advantage of the captive gaze of the audience, introducing a foil, a false reflection, an illusion of depth, a novel typography that disrupts expectation and challenges perception,” says White. Or is it just some scanned tinfoil ha ha. Effective on a large scale tho ay.